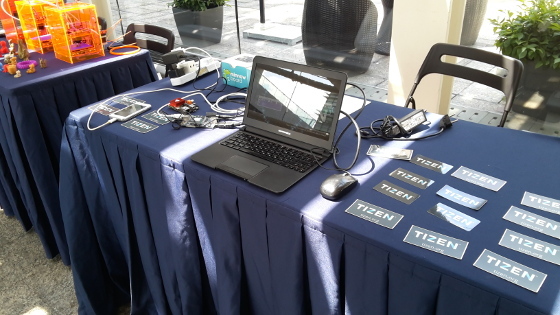 I had the pleasure to visit Hong Kong and to speak about Tizen during HKOSCon 2015, the local open source conference. Hong Kong is a gorgeous and dynamic city in a region well known with its hardware manufacturing plants. 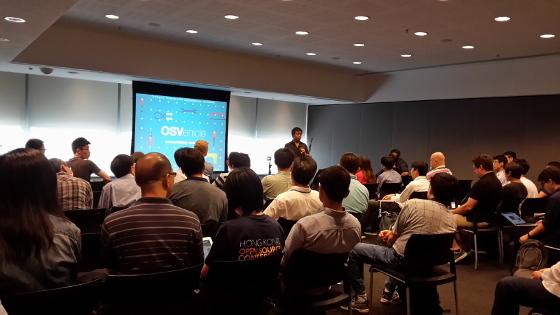 The local open source community prepared a fabulous conference about open source software located at the Hong Kong Science and Technology Park. The event had a free entrances thanks to support of numerous sponsors. The schedule of Hong Kong Open Source Conference included a lot of other talks related to GNU/Linux distributions and mobile devices. There were a lot of overseas speakers and the majority of the talks were in English. During the first day of the conference I had the chance to visit talks about the programming language Haxe by Andy Li, automated web UI testing with Cucumber and Selenium by Baochuan Lu, and about open source electric vehicles by Tin Hang Liu, the CEO of OSVehicle. 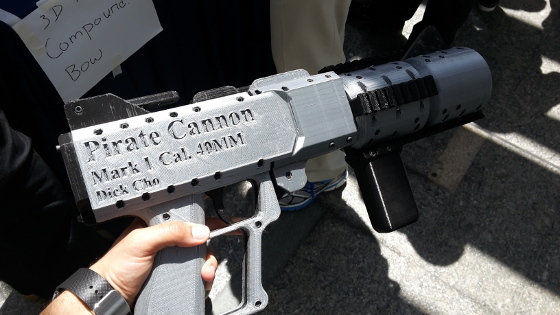 During the first day I also visited a presentation about Hacking with ARM devices by Kenji Shimono. 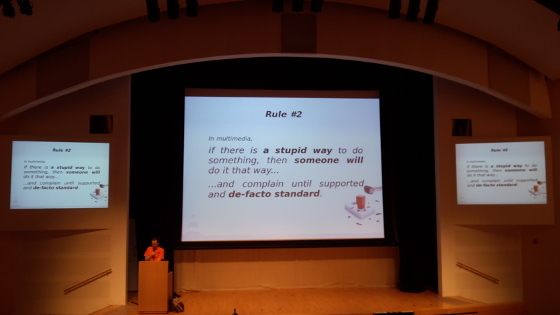 The second day of the event started with a keynote about the Linux kernel by Jonathan Corbet, Linux kernel contributor and co-founder of LWN.net. 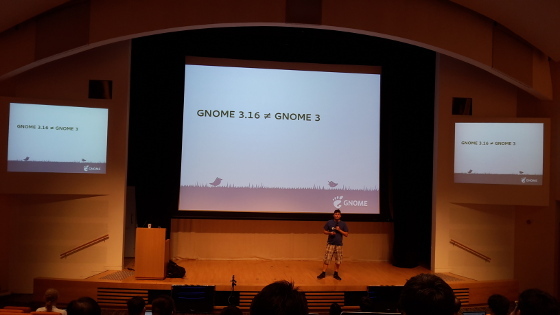 Another keynote, during the afternoon, was dedicated to GNOME 3.16 and it was presented by Tobias Mueller. Right after that there was another very interesting talk, Francois Cartegnie spoke about one of my favorite open source multimedia players – VideoLAN. 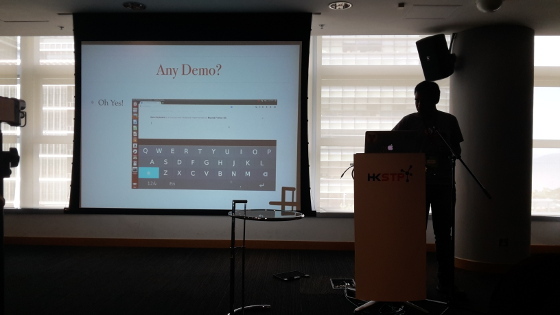 I also had the pleasure to learn about the self learning word prediction and auto-correct module in FirefoxOS thanks to Rabimba Karanjai, Mozilla community member and passionate FOSS enthusiast.